Introduced in our Cruise 2019 presentation, the Meridian duffle is both an ideal travel bag and a practical everyday carryall. It is crafted from durable canvas and accented with bi-color nappa intrecciato straps that also detail the body of the bag. A contrast hue of nappa trim emphasizes the square silhouette. 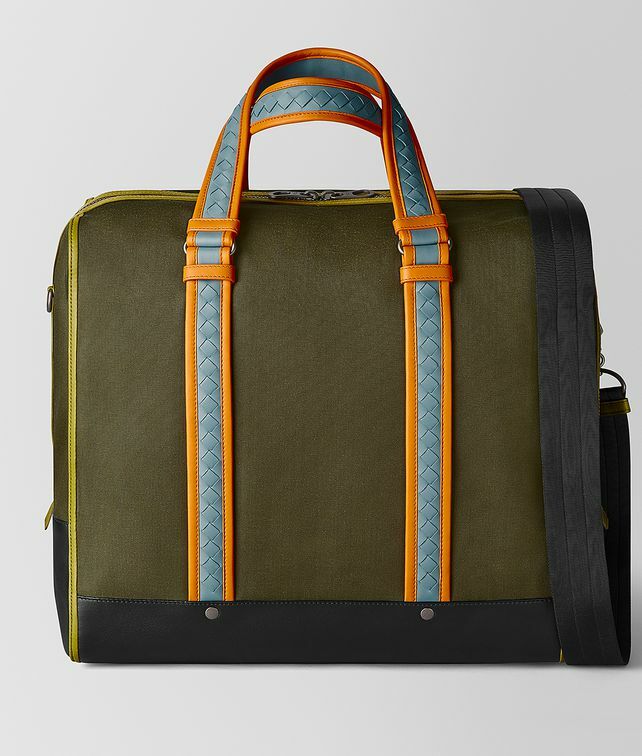 The sporty style is fitted with an interior zip pocket, a double open pocket and a removable nylon shoulder strap. Finished with a sturdy leather base.